Sad to say Falcons fans, but Tony’s only road left to the Super Bowl starts in KC. 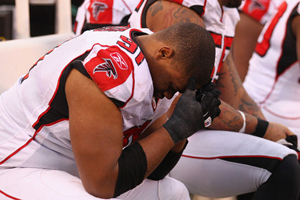 The Falcons’ 2013 season is officially grounded. Injuries to key members on both sides of the ball (Julio Jones, Sam Baker, and Mike Johnson on the offense, and Sean Weatherspoon and Kroy Biermann on the D) revealed how fragile the team really is. This is a group that when healthy can compete for the playoffs, but it’s not a team that enjoys a lot of depth and shows resilience—a favorite term of Mike Smith’s (though, to my great annoyance, he often uses the word “resiliency”). Here’s the current assessment, as I see it. The offensive line as it’s currently constituted is simply not an NFL caliber line. See the amount of pressure Matt Ryan faced on Sunday against a very good Arizona Cardinals front seven. See the total of 27 yards rushing gained in four quarters of football, even with Steven Jackson back in the lineup. Next, the Falcons defense is simply not up to snuff either. The players on defense are too prone to missing assignments, taking bad angles, and not getting enough of a pass rush to keep opposing QBs from finding receivers camped out in the holes left by its zone coverage. In order to go to battle with the defense the Falcons fielded on Sunday, they needed an offense capable of scoring more than 30 points. They have managed twice all season (both of their wins). Let’s forget 2013. This was a team that was built to win now (as evidence by the signing of aging superstars Tony Gonzalez, Osi Umenyiora, and Steven Jackson). That doesn’t appear to be happening, so what can the Falcons do going forward? 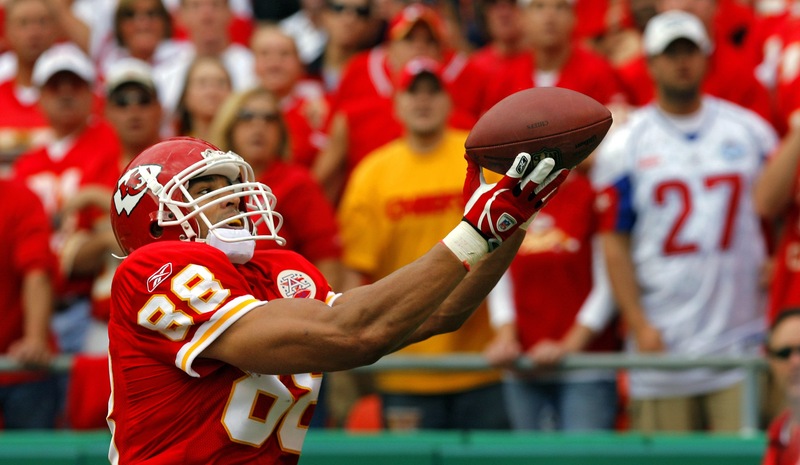 1) Trade Tony Gonzalez. There’s some team that is competing for the playoffs out there that can use Tony Gonzalez. First option is the Kansas City Chiefs. They have a relatively young team with Pro Bowlers on both sides of the ball. Really the major hole in their arsenal is at tight end, though an argument could be made that their receiving corps is pretty lackluster. This makes for a nice story—Gonzo taking one last crack at a Super Bowl run with the team he’ll soon represent in Canton. Give us a third round pick, and we’ll return your prodigal son. Another option might be the New England Patriots who with Gonzo could, in the second half of the season, redeploy the two tight end packages they love so much. Problem here is that Bill Belichick would probably try to fleece us in any prospective deal. This isn’t a great or even good option. 2) Fire Mike Smith. Jim Leyland just abdicated the bench for the Detroit Tigers because he’d failed to get his team over the hump two seasons in a row, despite a pitching staff with three aces and a power pocket in his lineup that employed three fearsome sluggers. Save his captaining of the first pre-fire sale Florida Marlins ship, Leyland has proven himself to be a leader who can be counted on to put out a quality product but not necessarily a champion. I think Mike Smith is a fantastic leader who has made the Falcons arguably the best prepared team in football from week to week. But over and over again, his teams have shown an inability to make meaningful changes during a game. And, this week, in a game they pretty much had to win, they uncharacteristically committed 10 penalties, including a couple third quarter false starts at a really critical juncture. Mike Smith is a program saver. He can take a chronically underachieving team and make them stronger. He can instill a locker room with good values and encourage the play of a brand of careful, if a little nervous, football. I’m convinced that if he were hired by the Oakland Raiders or Minnesota Vikings, he could transform them into regular playoff contenders. But, like Dan Reeves before him, he doesn’t have the instinct to step on another team’s throat when he’s up. In fact, before 2013, his pattern was getting his teams to jump out to big leads and then holding on for dear life while the opposing side started to figure out how to get back in the game. Further, when his frontline players get hurt, he doesn’t have the fire that inspires the next man up. (See, for instance, the skeleton crew of no-names that Belichick brought into the Georgia Dome to beat the Falcons a few weeks ago.) Smitty from ever being a championship coach. That’s just my opinion. 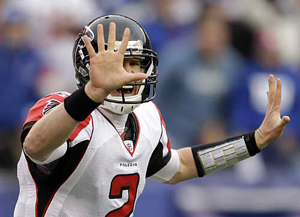 3) Restructure Matt Ryan’s contract. It should be clear to everyone right now that the Falcons have too many holes to become a consistently good team that can win games in multiple ways beginning in 2014. That point is important: winning games in multiple ways. At the moment, there is one formula: Outscoring the opponent. And, as the record shows, that’s not happening. The offensive line has maybe two serviceable cogs, Peter Konz at center and Sam Baker, provided he’s got a sparkling clean bill of health and can play right instead of left tackle. If we continue at the current pace, the Falcons should be able to use a high first round draft pick on a left tackle for the future. Improving the offensive line will not only protect our investment in Matt Ryan but will also open holes that Jacquizz Rodgers and a soon-to-be-drafted feature back (my dream would be Georgia tailback Todd Gurley) will be able to exploit. The problem is that one offensive lineman and a third round pick spent on a running back won’t be enough. On defense, we have three players at the moment who project to make a Pro Bowl in the future: Biermann, safety William Moore, and Weatherspoon. (Do not get me started on what I think about Thomas DeCoud.) Weatherspoon, however, has shown a remarkable inability to stay on the field. This is a problem that plagues many of GM Thomas Dimitroff’s first round picks—Peria Jerry, Baker, and Jones (so basically all but Matt Ryan and 2013 pick Desmond Trufant, who has only played in seven games). With defensive leaders Umenyiora, Jonathan Babineaux, and Asante Samuel all rumbling toward retirement, replacements are needed at all levels of the defense, most especially at linebacker and along the entire defensive line. That is a lot more than one draft worth of acquisitions. To be competitive in the short term, the Falcons will need to do some work through free agency. But future money is short because Matt Ryan’s contract is going to eat into it big time. His cap number in 2013 was only $9.6 million. Next year, it will be $17.5 million. In 2015, it will be $19.5 million. It tops out at $23.75 million in 2016 before heading back toward not earth but maybe earth’s orbit. If the Falcons want to win. If the Falcons want to justify the ridiculous new stadium they’re planning to build, the Matural needs to be more realistic about his pay-scale. He’s being paid like a Super Bowl-winning quarterback, and, if you check the records, he isn’t one. And, frankly, his own contract looks to be one of the biggest obstacles to winning one. At first I dismissed this missive as lashing out by a depressed 49ers fan, who was likely ornery after the Indianapolis Colts traveled across the country to put a whipping on a seriously regressing Colin Kaepernick. But who am I kidding? I totally agree. If a standard NFL game were only 15 minutes long, the Falcons would be the perennial favorites to win the Lombardi trophy. But games are 60 minutes long, and the Falcons coaching staff just can’t seem to keep their team motivated for that length of time. Leads are squandered. Mid-game lulls are commonplace. And the comebacks haven’t been coming—as they once did. After five years of watching him play, I think I’m convinced that Matt Ryan is not the problem. I think a coach who “coaches up” players, who players desperately don’t want to disappoint, who makes smart gambles, etc., can win with Matt Ryan. Bill Cowher and Jim Harbaugh come to mind. Mike Smith, is no Cowher or Harbaugh. He seems to get stuck on words, like “resiliency” and “explosiveness,” repeating them to a team that regularly showcases neither trait. His managerial echolalia isn’t even what annoys me most about him. It’s that he’s a defensive coach—prior to joining the Falcons, he was the defensive coordinator of the Jacksonville Jaguars—who has never really had a feared defense. He seems completely mismatched with the team he currently has, an on-paper offensive juggernaut that in real life is sort of ho hum and average. I think Smith might be one of those coaches who can get you to the playoffs and no further. He’s Dan Reeves without the suit. He’s Andy Reid. For an in-state example, he’s the NFL version of Mark Richt. Case in point: Falcons beat reporter for the Atlanta Journal-Constitution, D. Orlando Ledbetter, just tweeted that offensive coordinator Dirk Koetter has set a goal of turning 55 percent of red zone possessions into touchdowns. My question: Why isn’t the goal 100 percent? If you aspire to it and fall short, you’re still a damn good football team. Aspiring to mediocrity is what’s gotten this team to where it’s at now. I just don’t see the Mike Smith regime leading us to a trophy. The trend ended last night. For three quarters, the Falcons defense buzzed about, confused Peyton Manning, and swarmed the ball as if it were Tippi Hedren in The Birds. The offense was less impressive early on, leaving points on the field during a first quarter in which the Broncos turned the ball over four times. The score should have been 20-0, at least, at that point, but the Falcons, who might still lack a killer instinct, were only up 10. Still, they gutted out the win, and the season’s first two games have now featured one outstanding turn by the offense and one outstanding turn by the defense. If coordinators Dirk Koetter and Mike Nolan ever decide to bring it on the same day, the Falcons would have legitimate Super Bowl aspirations. But, please, can I at least have a second to savor this win? Michael Turner says, “No.” It took him roughly four hours to go from sealing the game with a first-down run in the last two minutes to getting a DUI 30 miles away from the Georgia Dome. The offense would have killed for that level of efficiency. And I’d guess it takes a substantial amount of moonshine to get a man his size over the legal limit. What that means for the next few games, I don’t know. 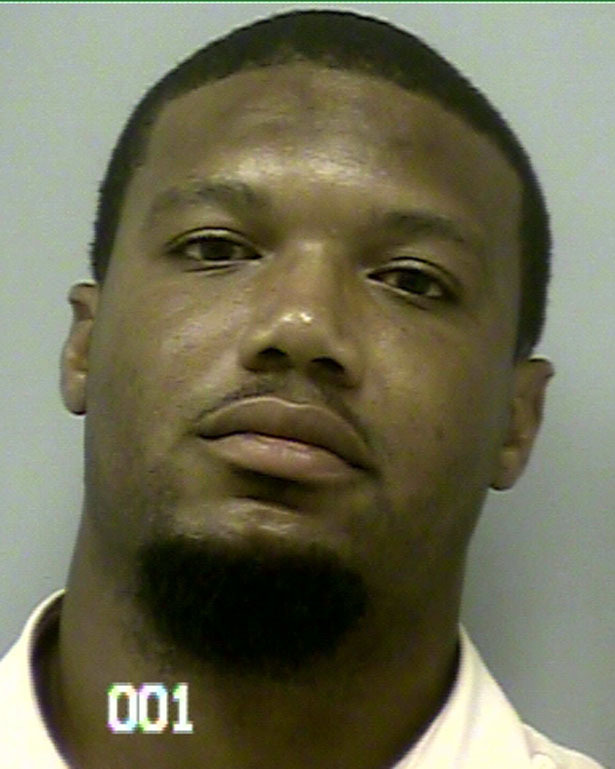 But, Jacquizz Rodgers is probably the only football-aware person in (or from) Atlanta who woke up this morning to the news without shaking his or her head. A win’s a win, Bill. Especially when it comes against probably the best NFL QB of all time, who was 11-3 on Monday Night Football up until last night. Oh, and I’d wager that the Falcons would have been able to handle Kevin Kolb at home, no problem. Corey Peters doesn't like eating it in the playoffs either. One of the primary reasons that I remain a strong supporter of the Falcons is because they unite a community of family and friends behind a common cause. All of us are cautiously optimistic at the beginning of the season or a game and then we swoon or sigh as a unit. Sometimes it’s hard to keep focused on a game due to the volume of texts I receive and attempt to respond to during the action. But, it’s also one of my favorite parts of the fan experience. "How many chances will I need before I win a playoff game? This many!" Matt Ryan in the midst of taking his third playoff strike. I’m too afraid to tally the number of hours I spent reading ESPN, Sports Illustrated, and the Atlanta Journal-Constitution, listening to NFL-related podcasts, talking heads on TV shows, and former players in online videos; and vacillating between actually going to the Meadowlands in advance of this weekend’s Falcons-Giants game. I didn’t end up going. That ranks as one of the best decisions of my three decade-plus lifetime. I didn’t show up at Met Life Stadium. Neither did the Falcons offense. If you spend too much time listening to chit-chat on the NFL network, you have likely noted two main criticisms of the 2011 Falcons: One was that the offense hadn’t settled on its identity between a power running game and the second coming of “The Greatest Show on Turf.” The other was that the defense, while posting more than respectable stats (especially in the second half of the season), was somehow suspect. Matt Ryan: He can manage a game. He is intelligent. They say he can’t throw deep, but he seems to do it so infrequently, who really knows whether he can or not? Here’s what he can’t do: extend plays. When the pocket breaks down, Ryan sometimes ventures toward the sidelines, but, either as a result of his wideouts not coming back to the QB or just because he doesn’t throw well or have great field vision while on the run, those plays rarely result in decent yardage gains. Basically, that means, if you want to win games with Matt Ryan throwing 30 times or more a game, he needs to have a nonporous offensive line. Michael Turner: A power runner. A tubby load. He can’t cut. He barrels forward. He needs to get the legs going before he can be effective. If he encounters a lot of resistance at or behind the line of scrimmage, he ain’t going very far (most of the time). Not ideal in very short yardage situations. Jason Snelling: Runs with verve and gets his knees up high. Always seems to get a yard or two more than you think, a la the Saints’ Christopher Ivory. Seems like an ideal short yardage back and was solid catching the ball out of the backfield. Jacquizz Rodgers: I have to admit, I was so much more excited about the Falcons drafting this lil’ spark plug relative to the Julio Jones pick. I see him as a Darren Sproles-type player whose potential is off the charts. But, we didn’t seem to ever use him unless a play had broken into a million pieces. Or we tried to run him in more traditional situations. I can only hope his development was affected by the lockout. Roddy White: More like Droppy White this year. Roddy had an amazing season last year. This year, his proclamation that the Falcons offense would be the new “Greatest Show on Turf” was second only to Vince Young’s “Dream Team” utterance in terms of its foolishness. Roddy is perfect for out routes and that curl he likes from the slot. Tony Gonzalez: Big end zone target. Ideal possession receiver for getting between five and 10 yards. Other than Roddy, when he wasn’t being Droppy, Gonzo was the only largely properly utilized part of the Falcons weaponry. 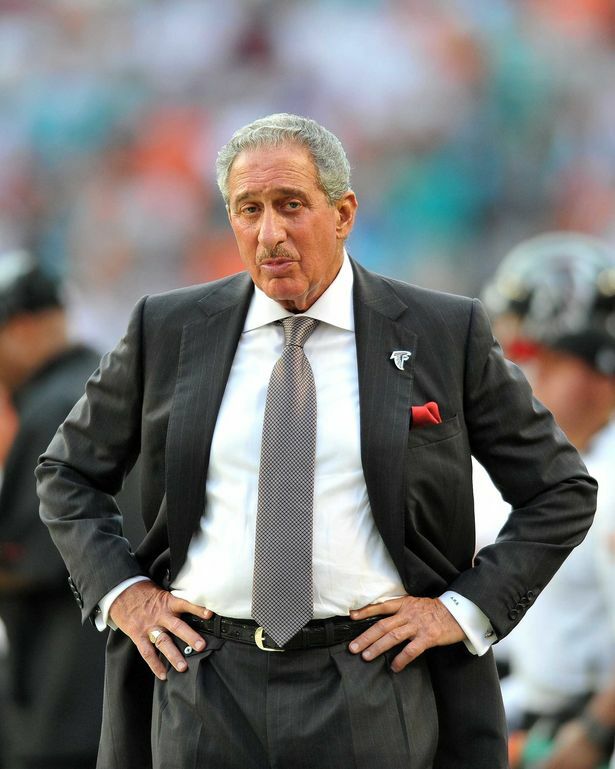 Harry Douglas: The Falcons forgotten man. Some pundits early on said that he would benefit the most from the addition of Julio Jones. He did. For one game, against the Saints in Week 10. He got open multiple times over the middle in the Saints soft zone as the Falcons clawed back and forced that game into overtime. Then he went AWOL. Why not use him as a Welker-type slot receiver? Why not have Roddy run the curl that every DB that plays us looks for, while sending Julio across the middle, and then bombing to Harry deep? Sound too much like Madden? Take a look at the Saints. The Pack. The Pats. The Lions. Julio Jones: There were times that I thought the Jones pick was more trouble than he was worth. But, if the Falcons keep him beyond his initial contract, I think he’s going to be one of the league’s premier receivers, so I’m ultimately glad he’s around. That said, Mularkey seemed to call plays as though it was he who was responsible for justifying the kid’s existence on the squad. Matty seemed to force throws to him or in his direction when there were plenty of other options, including running the ball. Frankly, there’s something to the fact that the Falcons only win against a playoff team came when Jones was injured. That’s not to say Jones couldn’t have been better integrated into the offense. It just seemed that Mularkey didn’t know how to create a good mix of run and pass. It seemed like, at times, he was consciously trying to get people touches, spread the ball. But, if there’s anything one notices when watching the Saints or the Pack, the NFC’s two vaunted offenses, they (and their quarterbacks) don’t seem to care who is at the end of their passes or which back is carrying the rock. That’s an issue of team identity—suppressing individual egos and stressing whatever serves the team is best. That’s taught from the top down. That’s on the coaches—Mularkey, among them.